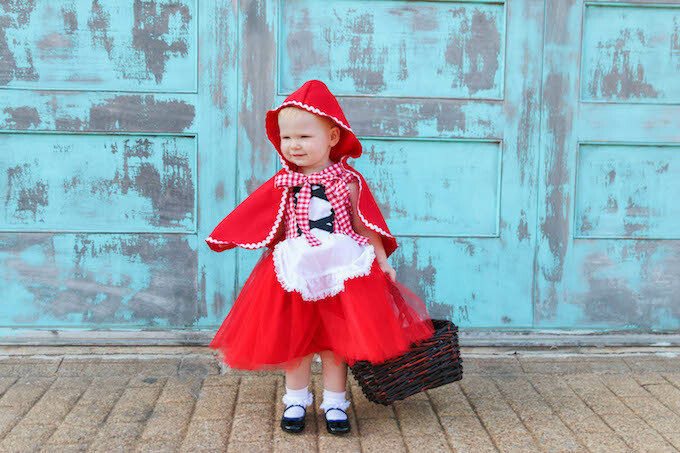 It's only fitting my red headed daughter dress up as Little Red Riding Hood for Halloween. 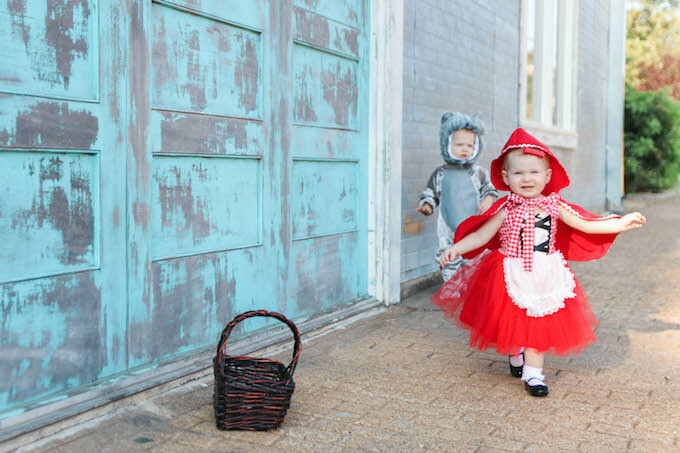 She's also lucky to have a twin brother to compliment her outfit and go as the Big Bad Wolf. 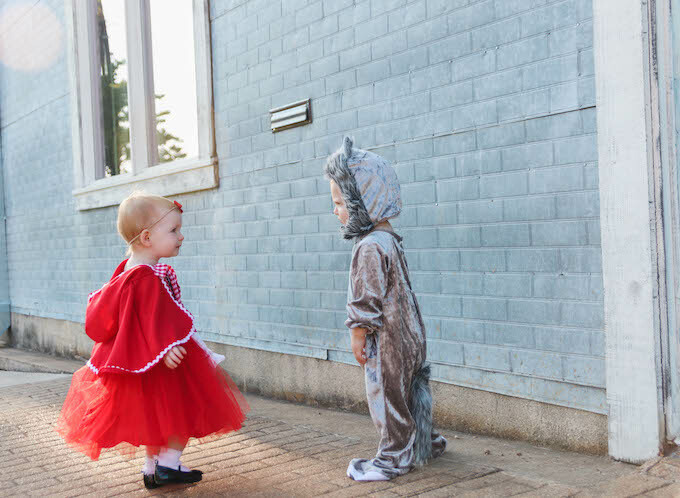 Check out today's post for Halloween costume inspiration plus a closer look at Whitney's adorable handmade dress by Lover Dovers. This will likely be the last year I have full reign on deciding what Walt and Whitney dress up as so I went big. Big as in they actually have THREE costumes...stay tuned for two more! I found Lover Dovers shop online and fell in love with her whimsical dresses! 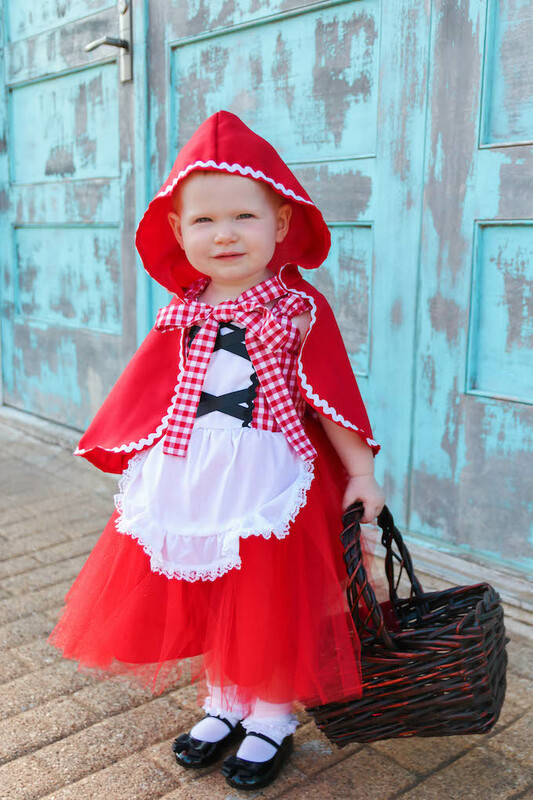 This Red Riding Hood dress has so much detail and the quality is amazing. 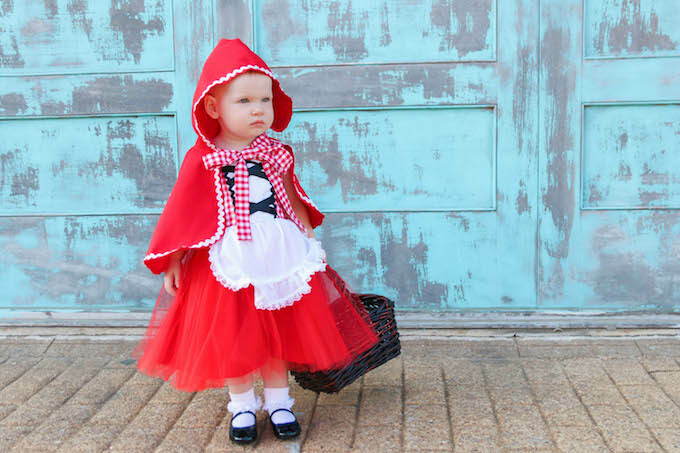 It's fully lined in cotton for comfort, has an adjustable bow on the back to fit your child perfectly, a matching cape, and a fun tulle skirt! Whitney was NOT happy when I had to take it off of her. 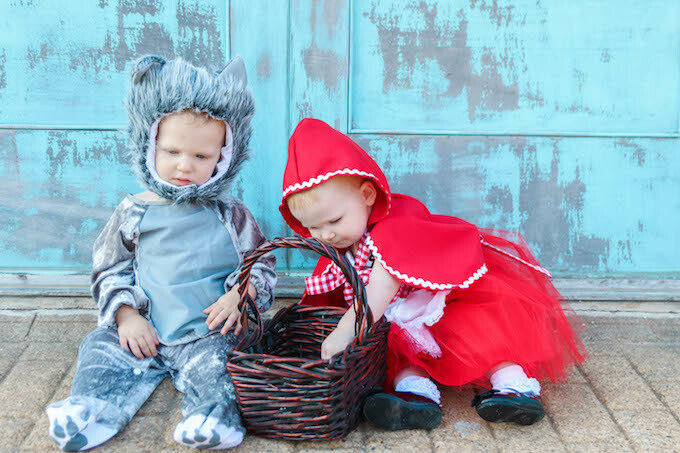 Walt was the big bad wolf, but he wasn't very intimidating. 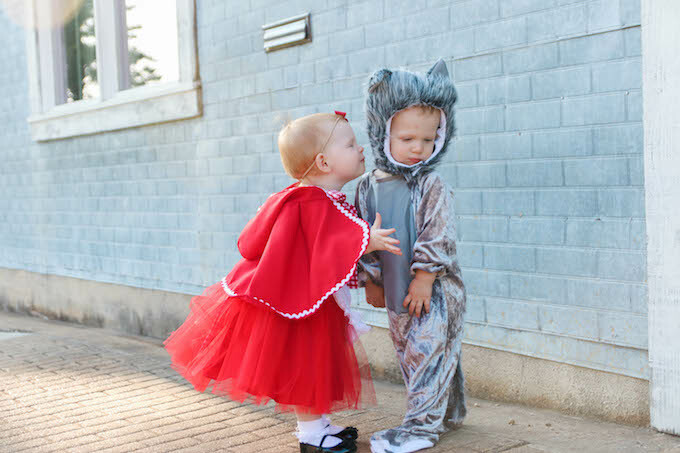 Whitney tried her hardest to give him a kiss, but he wasn't having it. I completed Whitney's outfit with black ballet flats and white socks from Walmart and a thrifted basket. You can find Walt's wolf costume here (runs big). 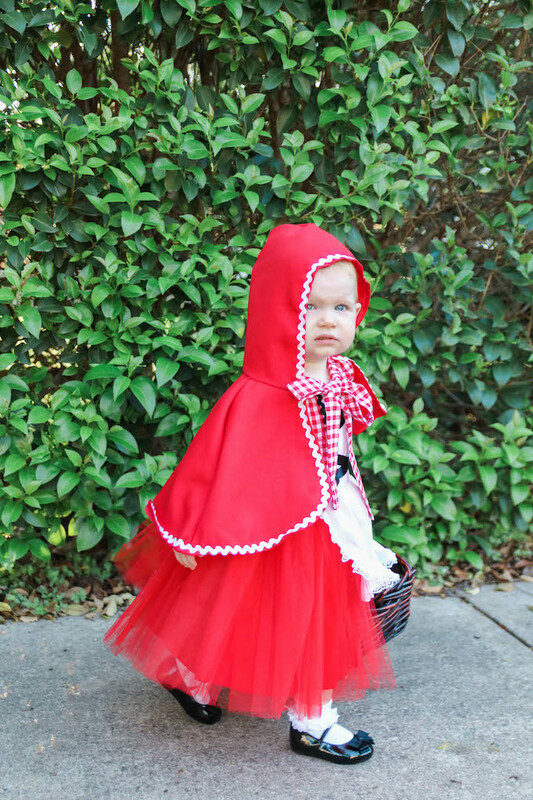 Happy trick or treating friends! I recognize that blue door! My friend got married at that venue in May- it's SO cute!